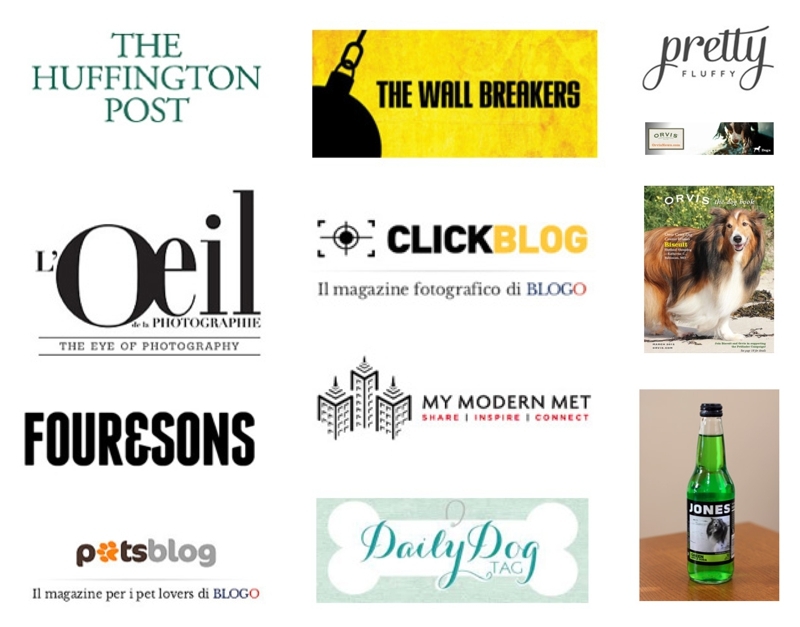 Biscuit’s Monumental Day Has Arrived – The Orvis Cover Dog! 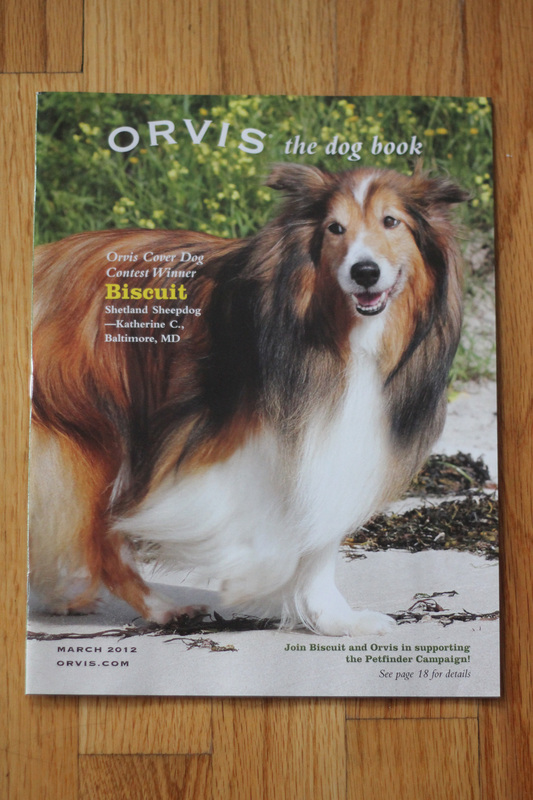 We are very happy and proud to announce that yesterday we received the March 2012 Orvis Dog Book with Biscuit’s photograph on the cover! 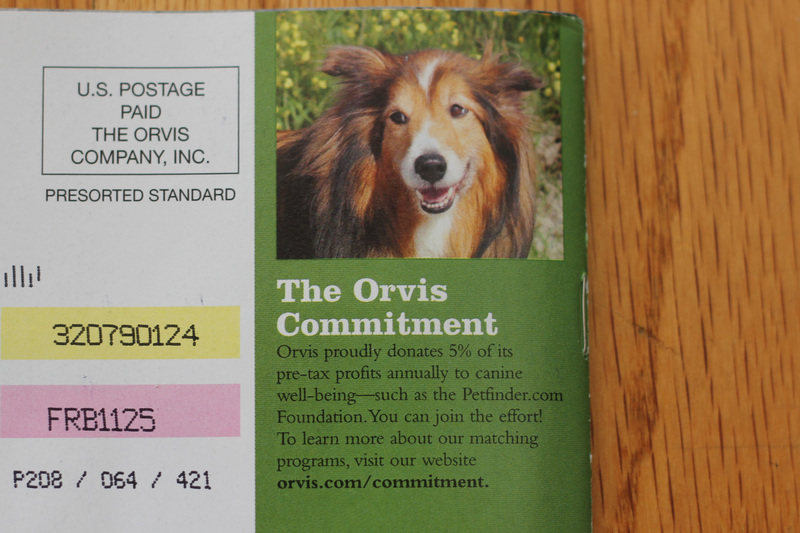 Biscuit is officially an Orvis Cover Dog! 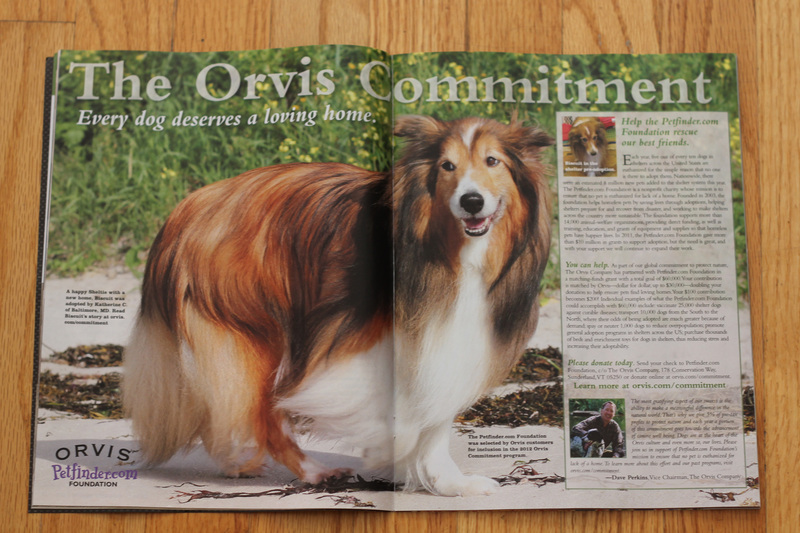 Biscuit appears four (4) times in the March 2012 issue of the Orvis Dog Book! 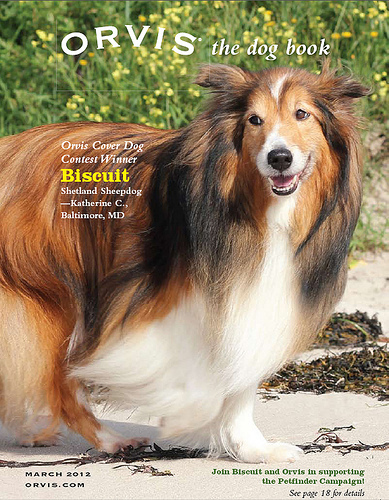 Below are some photographs of Biscuit appearing in the March 2012 issue of the Orvis Dog Book as well as some additional photographs of our precious little Biscuit! 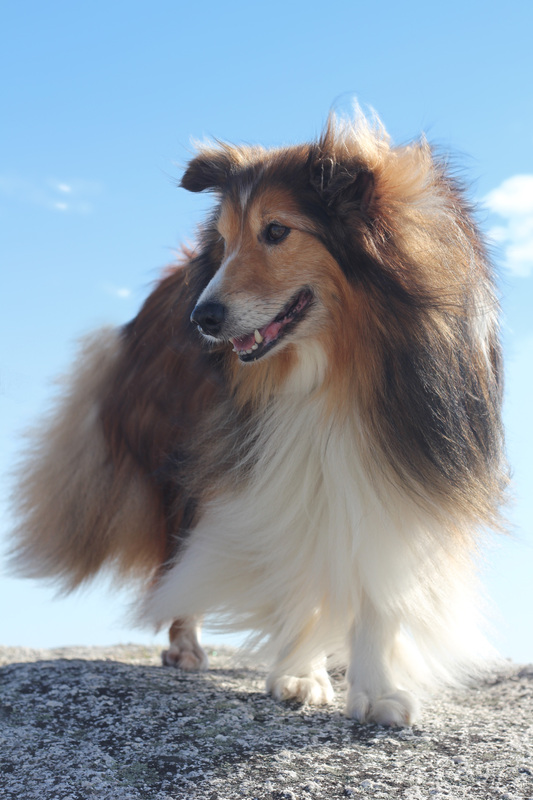 Click here to read Biscuit’s story, published by Orvis. 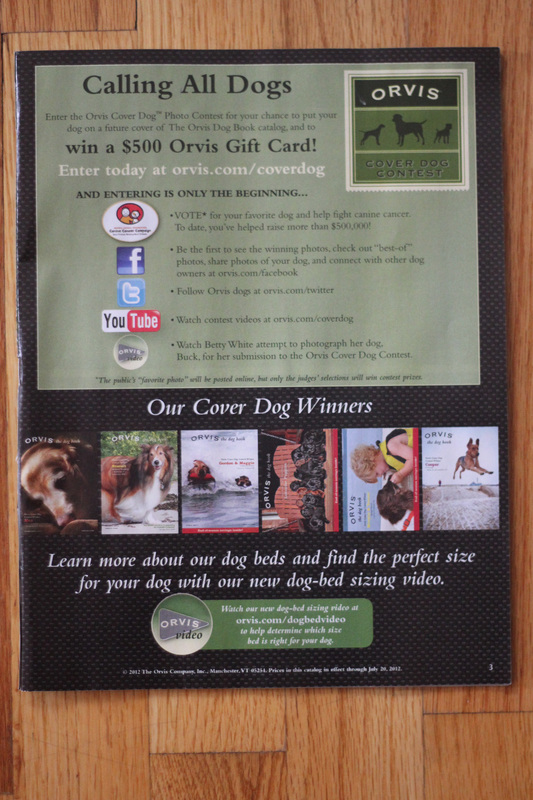 Click here to see the other Orvis Cover Dog Winners. 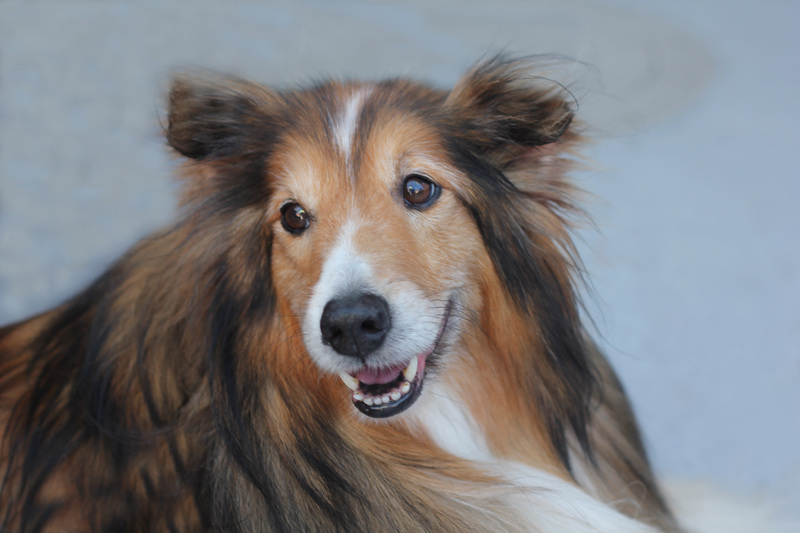 We are very grateful to have Biscuit as part of our family, and he is doing very well since his recent surgery. 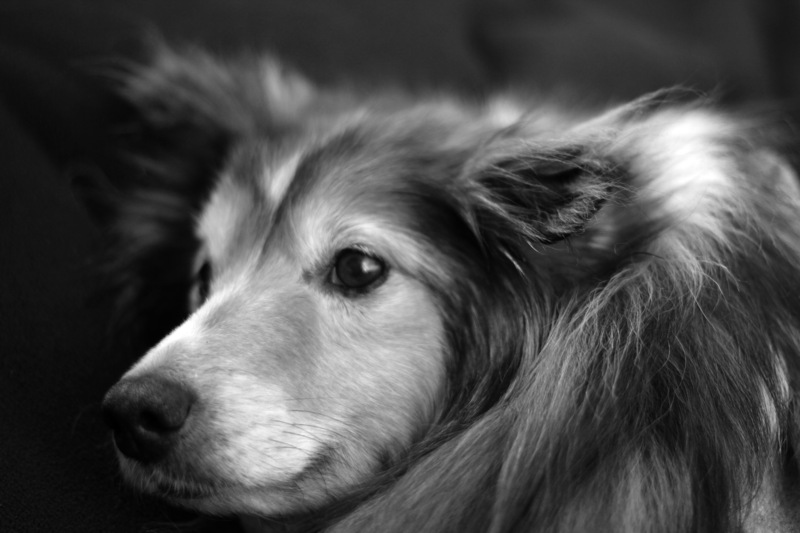 Here are some links concerning Biscuit’s recent surgery. Link 1; Link 2; Link 3; Link 4; Link 5; and Link 6. The above image is displayed on the Orvis website. 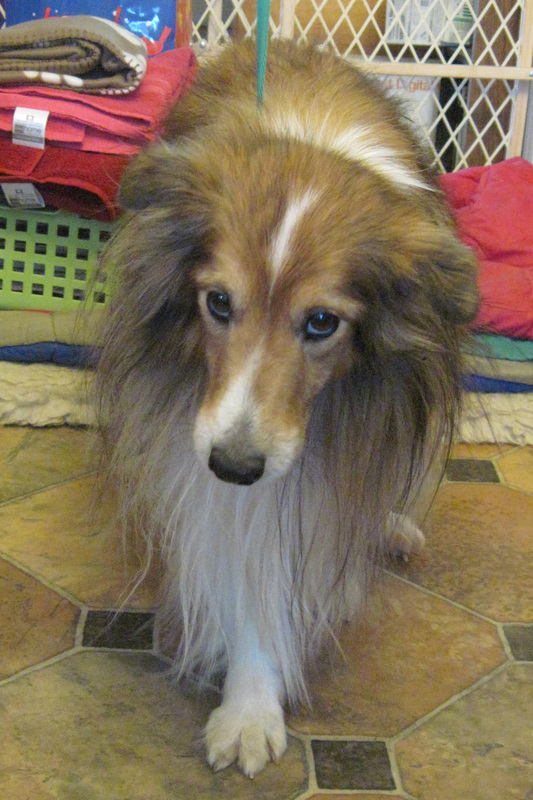 Biscuit is no longer the sad Shetland Sheepdog that we met in late December 2010. 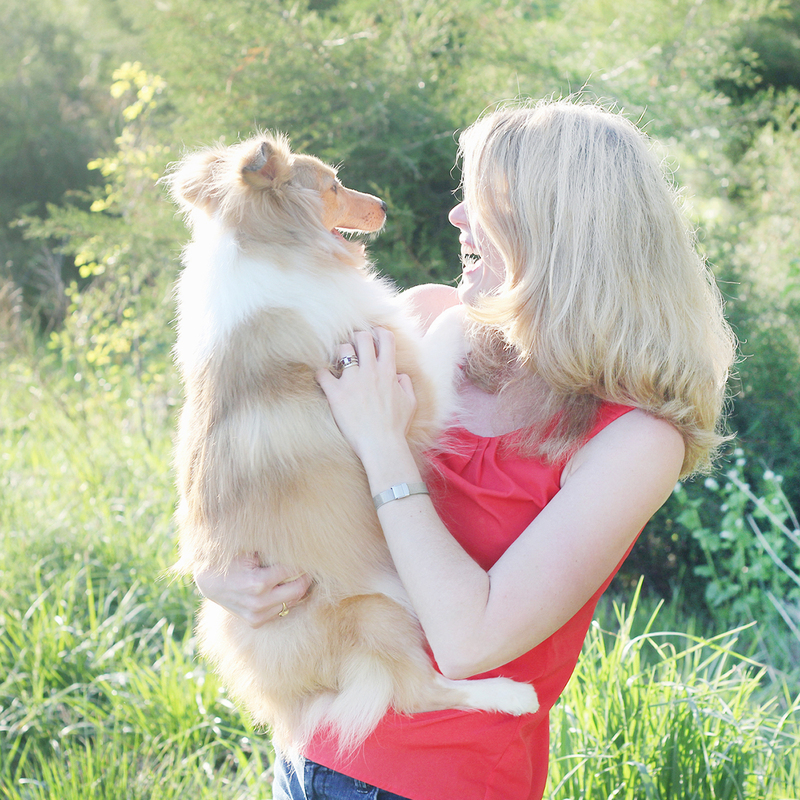 Below are more photographs of our little Biscuit! 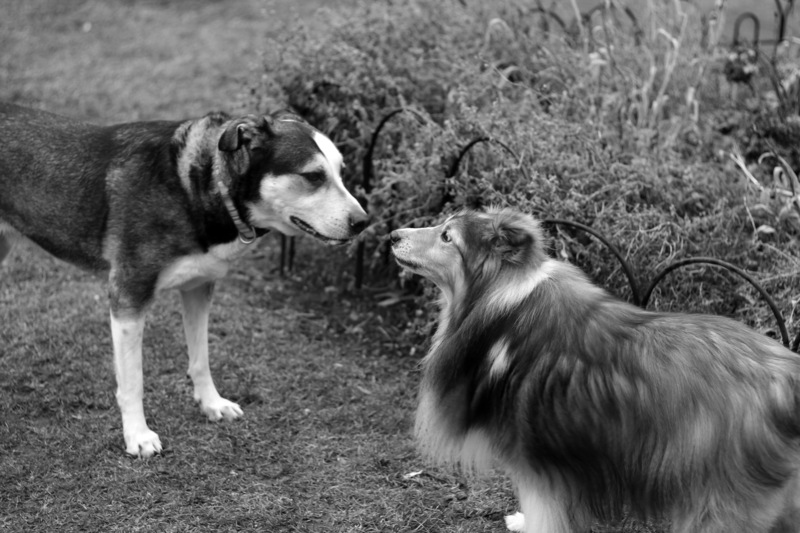 Biscuit and his “girlfriend,” Princess. 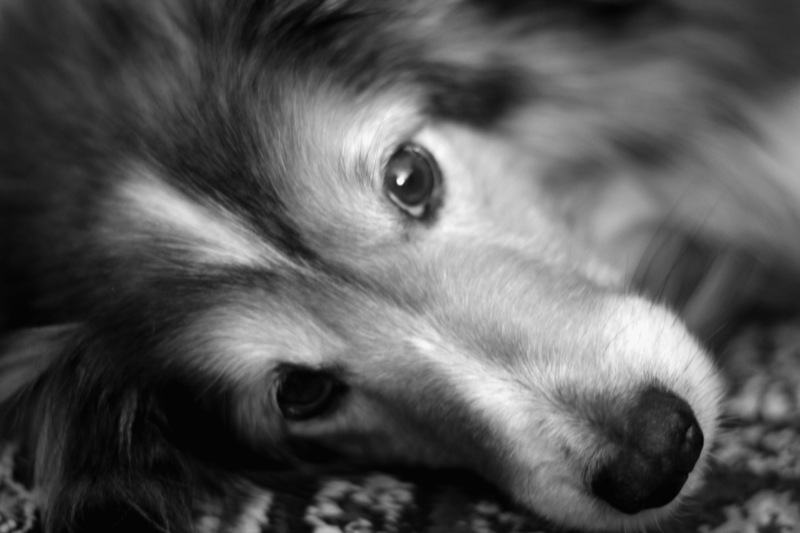 To view more photographs of Biscuit and Princess, click here. 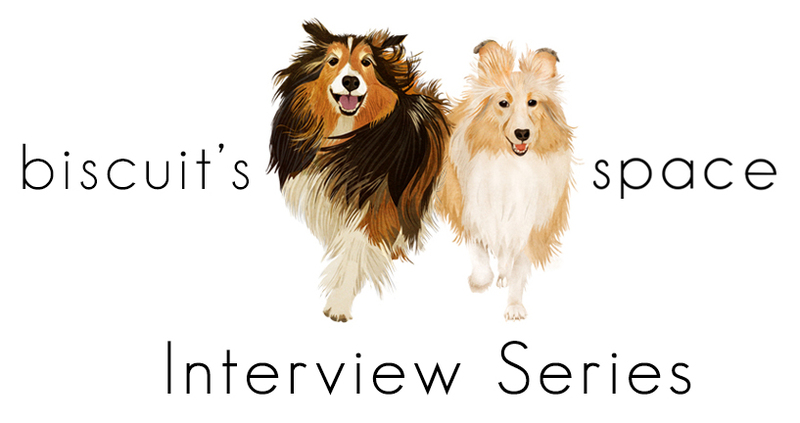 ← Biscuit’s stitches are out, and his t-shirt is off! 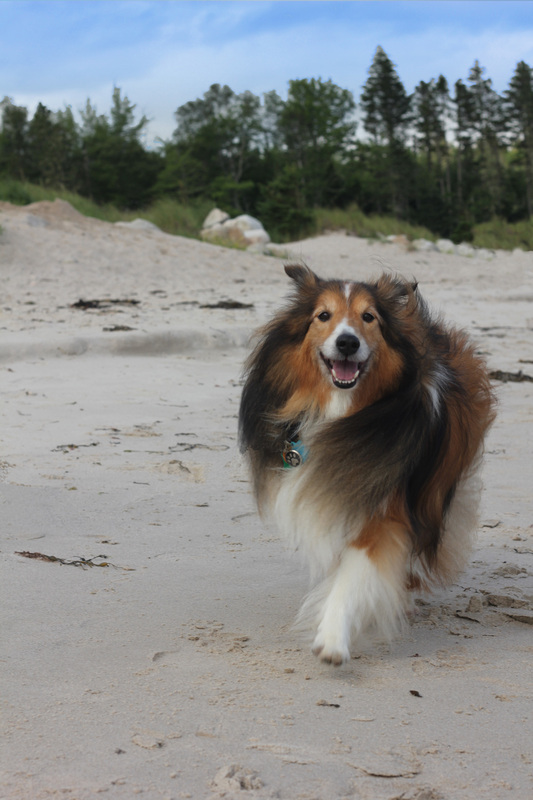 I have to say, the photo of Biscuit running on the sand? the one with the big smile? That is the best photo. Every time I see it, it makes me smile.